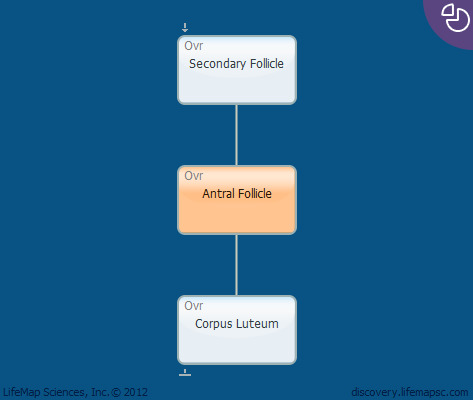 Antral follicle appearance marked by the formation of a fluid-filled cavity adjacent to the oocyte called the antrum. Granulosa and theca cells continue to undergo mitosis concomitant with an increase in antrum volume. Antral follicle growth is gonadotropin-dependent. At the end of its growth, the mature follicle reacts to a discharge of gonadotropic hormones by transformations which lead to follicular rupture (ovulation).